Metos Design & Build are a highly experienced building company that works primarily across SW London and North Surrey. Established in London for over 20 years, we specialise in transforming homes into stunning living spaces for modern day living. Additional to extensions and refurbishments, we offer bespoke hand-built kitchens. Metos Design and Build are a complete building and design company. Our team comprises a structural engineer, builders, craftsmen, carpenters, joiners, plumbers and heating engineers. We have an appointed architect – or we can work with yours. This means one team communicating with each other, working together to achieve the best end result for your project. There are no extra cogs in the wheel slowing your project down. We are soon to open our showroom next to Mortlake station, so you can easily pop in and meet us to discuss your plans and ideas. Metos Design & Build is led by husband and wife team, Barry and Fadi Metos. Barry has extensive experience working in construction, with a sharp eye for building design and attention to detail. Fadi is an interior style consultant, who can help advise on schemes if required and oversees the administration of each project. As a family with young children, we understand only too well the disruption of family life during a build project. Our practical approach will ensure disruption is kept to a minimum, and that you are always kept informed to minimise any stress. We set a high standard for outstanding workmanship and communication – we can arrange for you to talk to our previous clients. 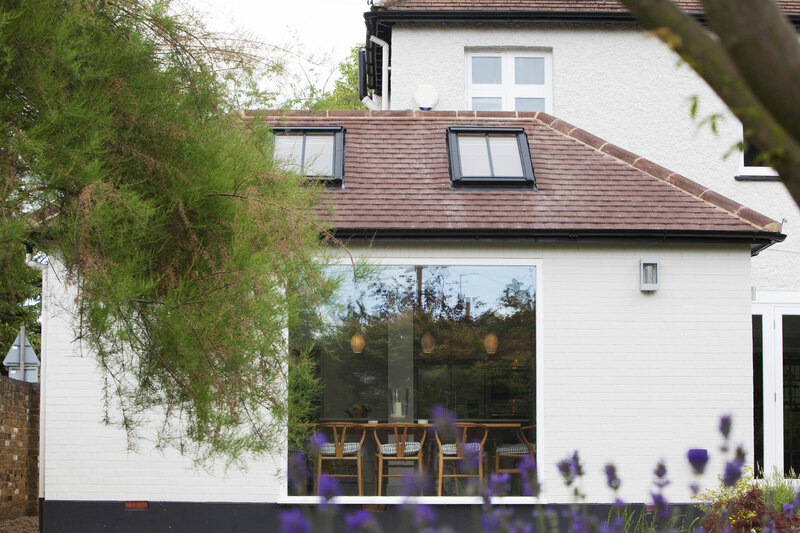 Our clients are typically homeowners in SW London and North Surrey, who are looking to either extend or renovate. They want outstanding workmanship, ideas, problem solving and great communication. We enjoy the trusted relationship we have with our clients. It is the recommendations that come from our satisfied clients that grow our business and ensures its longevity. Barry Metos will always be accessible to you – either on-site or at the end of the phone. We are a proud company. Clients always comment on our exceptional finishes. Beautiful carpentry is signature to all of our build projects – and why we now offer bespoke hand-built kitchens. With Metos Design & Build you will always get a huge amount of knowledge and experience from first meeting to final completion. We work to understand your project and the budget you have. We promise a realistic, transparent and fairly priced quotation. We don’t cut corners or fudge possibilities. But we promise it will be fairly priced to deliver a job exceptionally completed.